Well this property fits the most common profile we get requests for. Single Story... Custom Built Superior Construction... Acreage... Quiet... Private... Secluded but not remote... 4 Car Garage with space for extra Parking... Class A fire rated Tile Roof... Surrounded by homes of similar or greater value... Fenced for pets... Gated for Security... Pool ( Killer Pool ) ... three large bedrooms... and every bedroom a Private Suite with its own luxurious bath... Office or Den (Spectacular ) ... Family room that flows into Gourmet Kitchen... well... it has it all! And... it has something else that nobody asks for... because they don't think it exists... a community owned private lake. SOLD... for more than any other realtor had represented the Property Could Sell For! 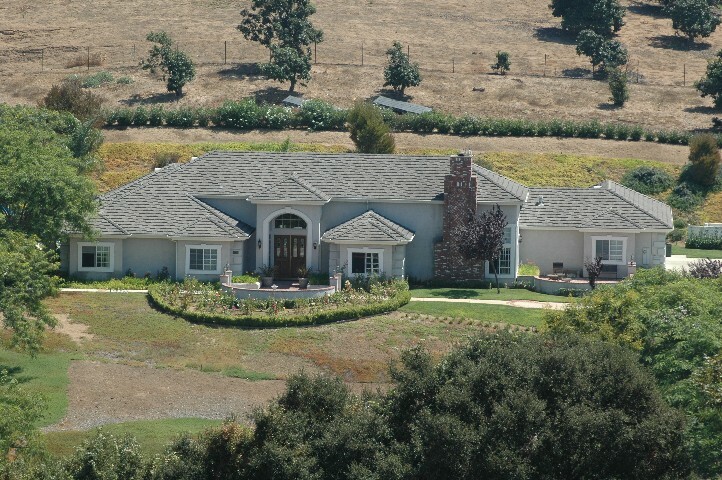 $1,235,000.... recognizing value... committing to get the buyer that recognized the value... and doing what it takes to accomplish that goal. Our clients walk away from the experience with a smile on their face... and more money in their pockets! The first photo above... captures the seclusion and estately feel of the totally fenced grounds. Shot from across the valley on another hilltop... you are looking at the estate... through the tops of century old "Quercus Agrifolia" or Coast Live Oak and/or "Platanus Racemosa" or California Sycamore... both native to this area... and growing along the designated "Green Belt" of a Riparian Drainage that dates back to the Spanish Land Grant of "Rancho Monserate" of which "Rancho Fallbrook" is part. The location from which the pictures were taken... is currently being developed into master planned community of multi-million dollar estates. 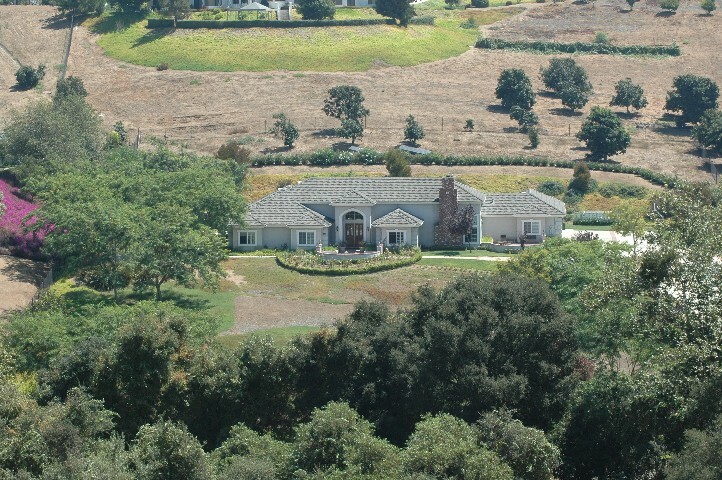 This home... enjoys a panoramic view... into the greenbelt... soon to the Estates across the valley... and South... into the San Luis Rey River Valley... ensuring daily "Ocean Breezes". The second photo above captures... the open... spacious... less dense feel ... of this wonderful development. What is not captured by the photos ... is the daily sound of "Cooper Hawks"... "Red Tail Hawks"... and the evening Hoots.. of "Great Horned Owls"... or screeching of "Barn Owls"... this is where you can have nature... in Crowded Southern California. Hey... want to go fishing?... or teach your kids to fish... or maybe the grand kids??? 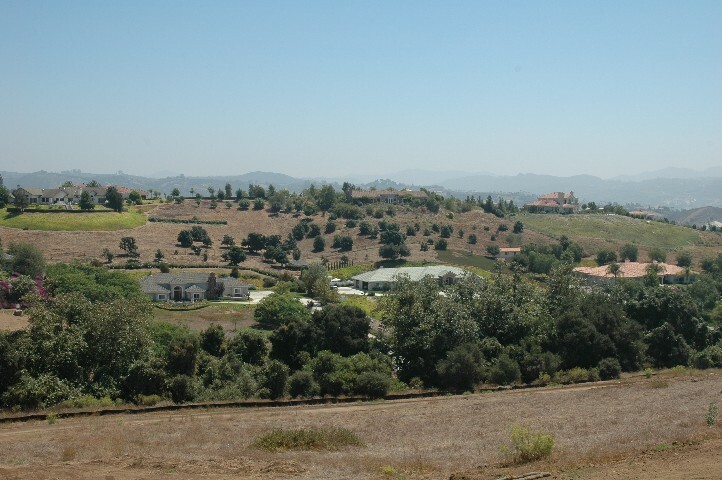 Rancho Fallbrook... is one of the best kept secrets of San Diego County! 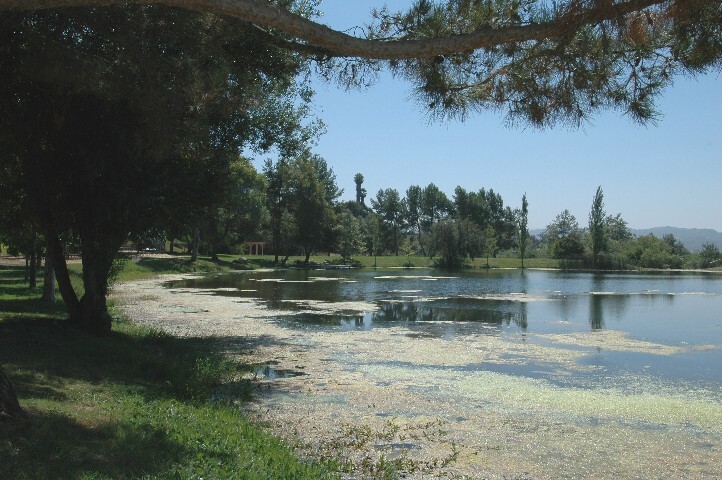 This lovely Private lake is commonly owned.... gated... and fenced... and has picnic grounds... and FISH!... No Swimming... no boating... no crowds... and HOA fees are only $38 per month! 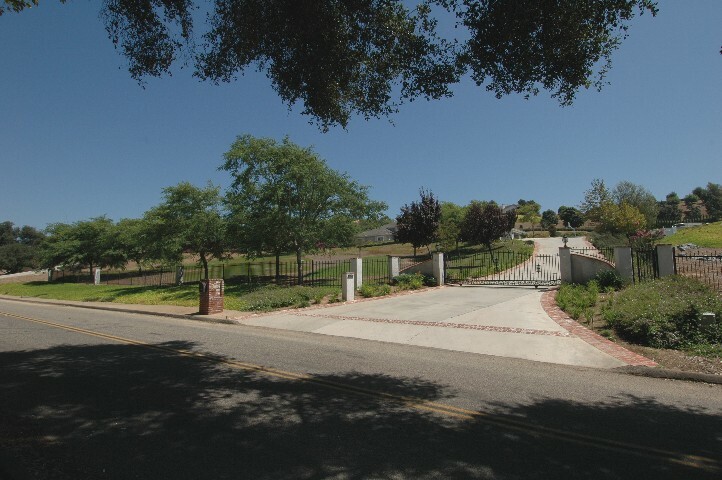 The home we have offered is sitting well back on the lot... and accessed through the gate pictured above. High above La Canada ( Wish I knew how to put the tilde above the 'n' )... a street that is a shortcut to nowhere... it is QUIET! Notice no street lights... dark of the moon... it is DARK! Notice the traffic... NOT! Yet... you are minutes from Highway 76... minutes from Grocery Shopping... minutes from Restaurants... minutes from I-15... 20 minutes from the Beach... and 30 minutes or less from three Hospitals.